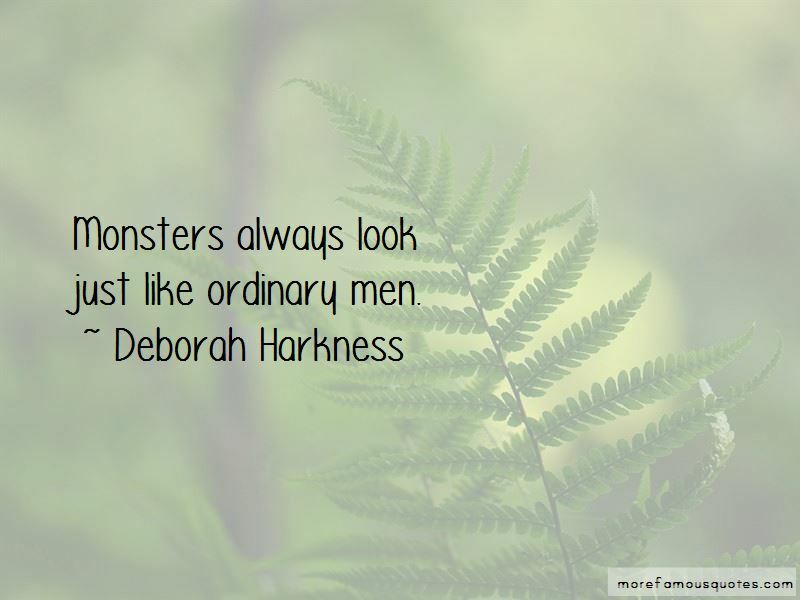 Enjoy the top 178 famous quotes, sayings and quotations by Deborah Harkness. I really love helping students and helping them empathize with people who lived a really long time ago. That's one of the highlights of working in fiction. You're impossible. Stop worrying about what other women do. Be your own extraordinary self. I have a master's degree in medieval literature. Wyverns-or firedrakes, if you prefer-were once common in European mythology and legends." "But youÂ .Â .Â . you're my accountant," Sarah sputtered. "Do you have any idea how many English majors are accountants?" Vivian asked with raised eyebrows. One should find wholeness in marriage, Gabriel, but it should not be a prison for either party, said Rabbi Loew. The door swooshed open. A tiny woman in a purple miniskirt, red boots, and a black T-shirt that read STAND BACK-I'M GOING TO TRY SCIENCE walked through. Miriam Shephard had arrived. This is why you have to stop keeping secrets, Matt. They're going to destroy you from the inside. 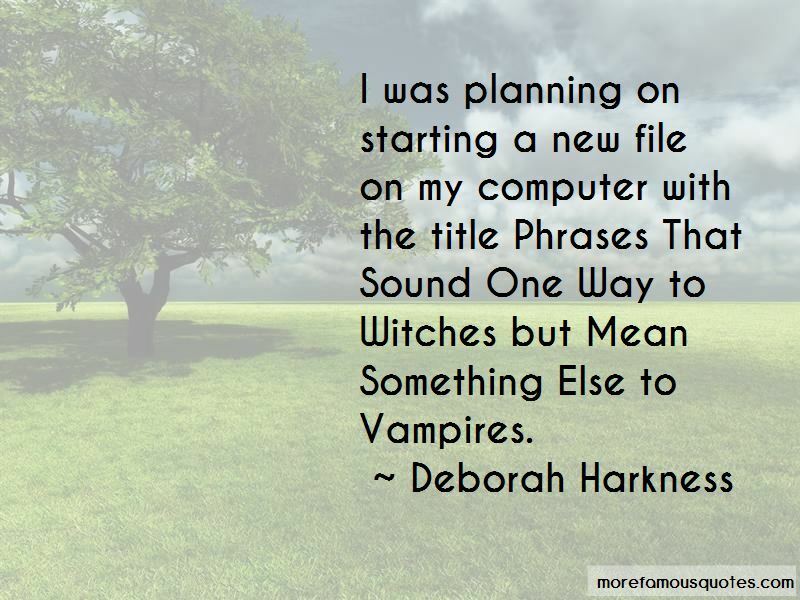 Want to see more pictures of Deborah Harkness quotes? 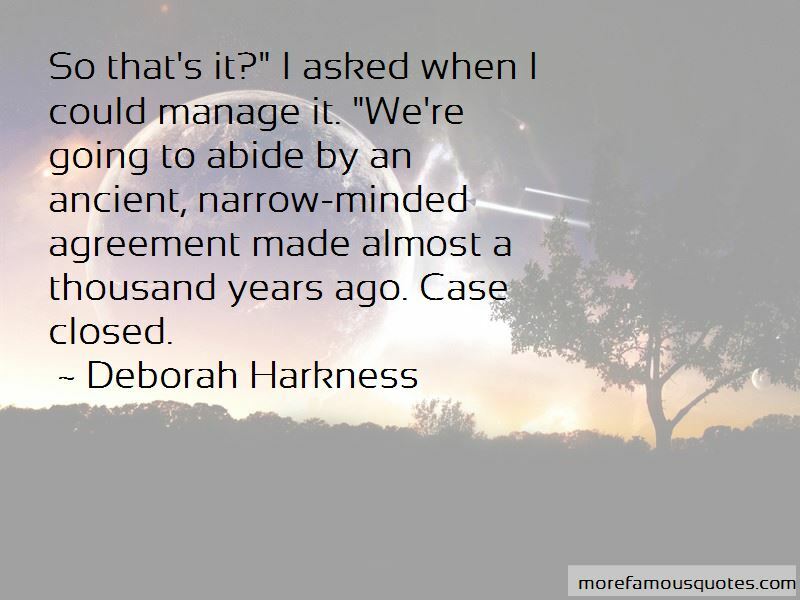 Click on image of Deborah Harkness quotes to view full size.